Throughout the Catholic Church’s history, the bodies of many saints were exhumed after death and found incorrupt. However, there are saints who exhibited such holiness that God preserved their bodies. Even science has no explanation for this! 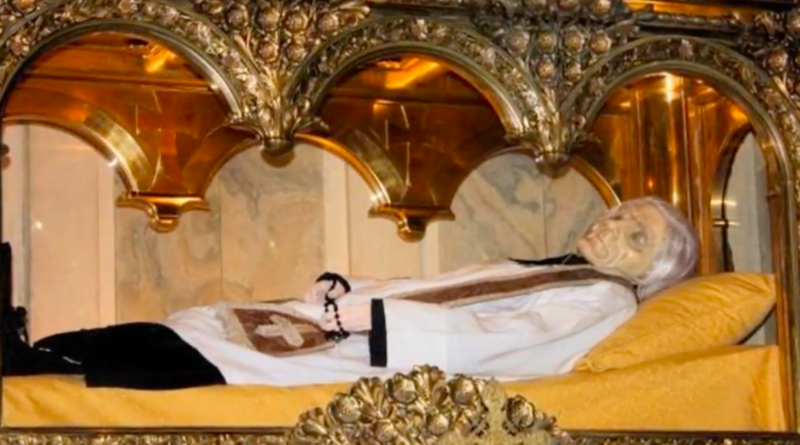 St. Vincent de Paul’s heart and bones are completely incorrupt. His bones are underneath wax (pictured above) at the Chapel of St. Vincent de Paul in Paris, France. His heart, however, is at Chapel of the Daughters of Charity in the Shrine of Our Lady of the Miraculous Medal, also in Paris. This incredible saint dedicated his life to serving the poor, and is patron saint of charities, spiritual help, volunteers, prisoners, and hospitals. He also founded the Vincentians. St. Vincent de Paul died on Sept. 27, 1660. St. Catherine Labouré was a Marian visionary and sister of the Daughters of Charity of Saint Vincent de Paul. 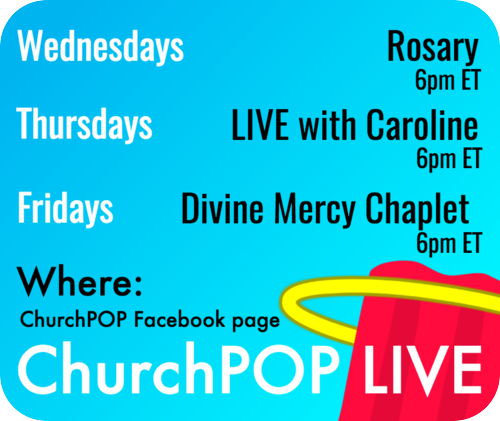 The Blessed Mother gave her the Miraculous Medal during one of her apparitions. 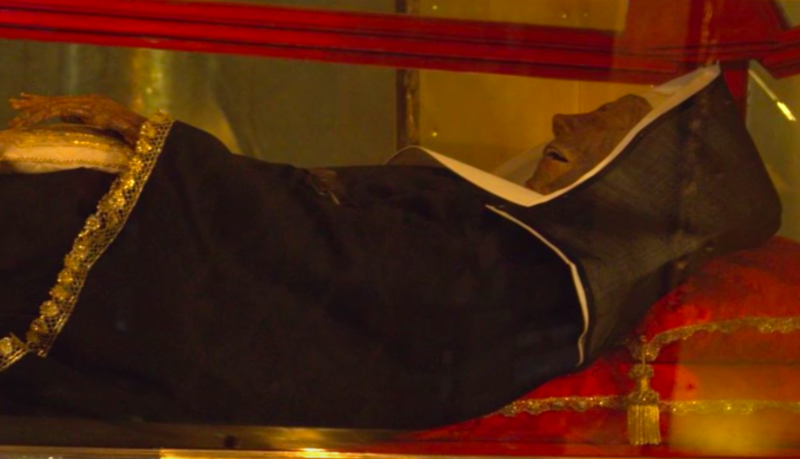 St. Catherine’s incorrupt body lies at the Chapel of Our Lady of the Miraculous Medal in Paris, France. She died on Dec. 31, 1876. St. Bernadette was a Marian visionary known for the apparition of Our Lady of Lourdes. Although there is a light wax mask covering her face and hands, her body is still fully intact. Her body lies at the Sanctuary of Saint Bernedette Soubirous of Nevers in Nevers, France. St. Bernadette is the patron saint of the ill. She died on April 16, 1879. St. Rita of Cascia was a widow and Augustinian nun. Although her body is now mummified, it was in perfect condition until the 1700s and “like a sleeping body,” smelling of a sweet fragrance. 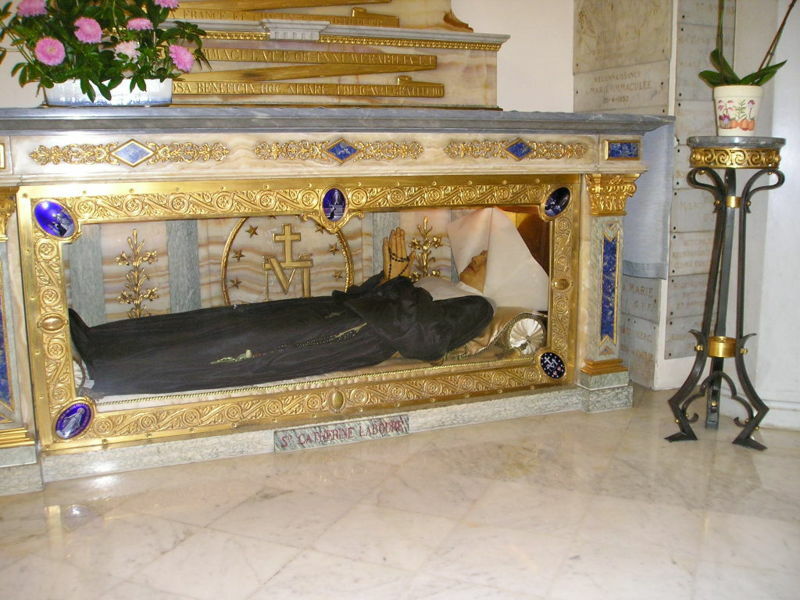 Her body is incorrupt and lies in the Sanctuary of St. Rita of Cascia in Cascia, Italy. She died on May 22, 1457, and is the patron saint of hopeless causes. St. John Vianney is known for converting his parish community in Ars, France. He is the patron saint of priests. His face consists of a wax mask, but his body lies incorrupt in the Sanctuary of Ars in France. St. John Vianney died on Aug. 4, 1859. St. Robert Bellarmine was a Jesuit, cardinal, and a great preacher. He is a Doctor of the Church and patron saint of Catechists. 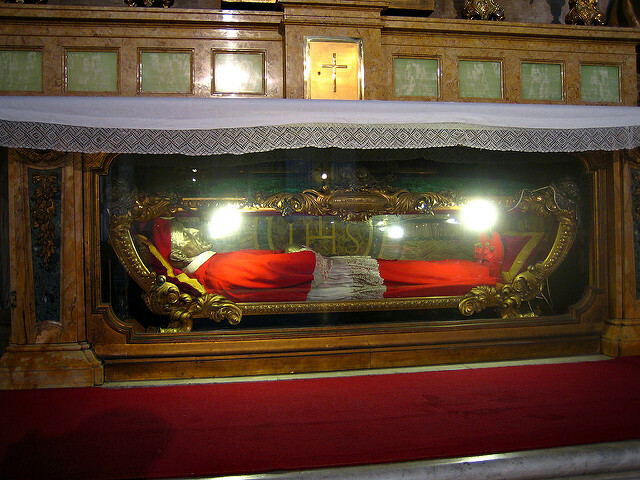 HIs remains can be found at the Church of St. Ignatius of Loyola at Campus Martius in Rome. St. Robert Bellarmine died on September 17, 1621. 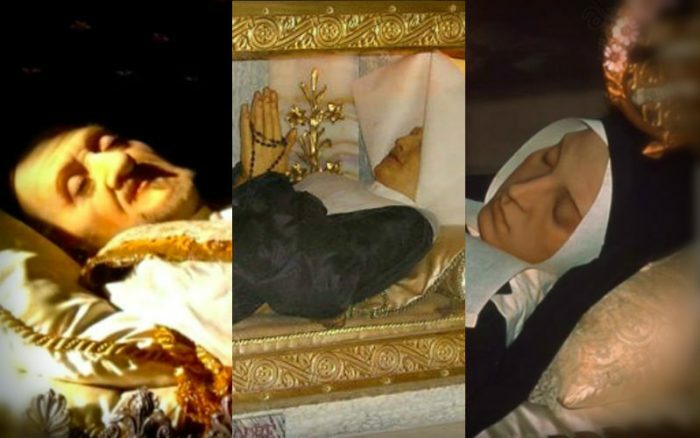 This is just a short list of the incorrupt saints. There are many others! 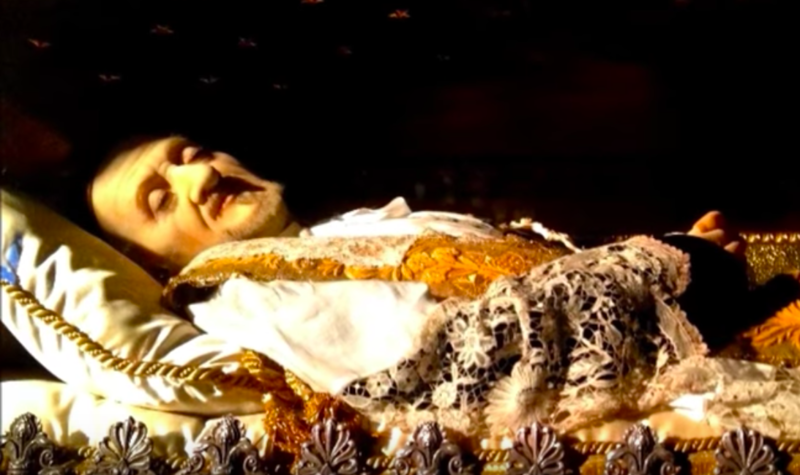 Which incorrupt saints would you add to the list?